Plugins make the job much easier for WooCommerce store owners. They help you integrate features and functionalities to your WooCommerce store without the need for writing code. We have discussed some of the best WooCommerce premium plugins in another article. In this article, we will discuss some of the best free WooCommerce plugins that you can install on your store. The payment options that you offer on your store is directly connected to the perceived customer experience. So, it is especially relevant to provide different payment options preferred by your customer base. Stripe is a popular payment gateway that you can integrate on your WooCommerce store using this free plugin. You will be able to accept payments from your customers through all major credit cards including Visa, Mastercard, Amex, JCB, Diners, Discover, etc. In addition, you can accept payments from Alipay, Apple Pay, Bitcoins, etc. Stripe is available in 25 countries. Before installing the plugin, check if Stripe is available in your country. You may have to offer discounts on your WooCommerce store from time to time. This plugin helps you set up several discount rules on your store, and automatically apply them. When a customer’s cart meets the requirements that you have specified, the plugin applies the discount. 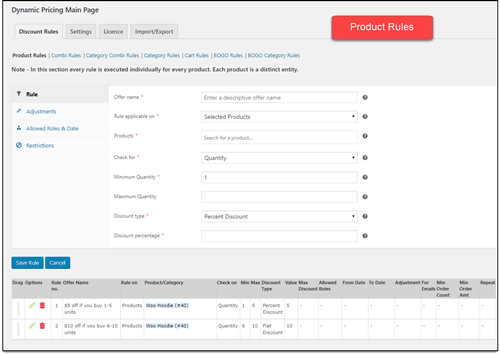 You can set up discounts at product level or category levels. Discounts can be a flat rate value or a percentage value according to the type of discount you want to set up. The plugin also helps you display an offers table on the product page to let customers know about all the available offers. It also allows you to create a maximum discount value that will ensure that the discounts won’t affect your profits. You can also set an expiry rate to the rules you have configured. When you have an online store, you will have to send an invoice to customers detailing their purchase. And WooCommerce doesn’t offer an out-of-the-box solution for this. Thankfully, you can use one of the free WooCommerce plugins to manage this. This plugin adds an invoice to all your order completion emails automatically. Moreover, it has a predefined template that will help you create your invoices. You can customize this template to make further modifications to your invoices. The plugin also helps you create a packing slip as well. 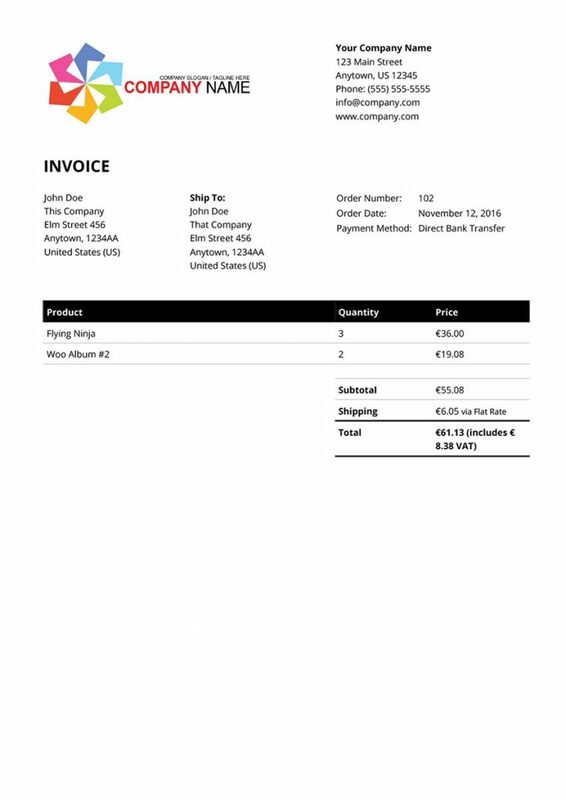 You can download PDF invoices and packing slips from your WooCommerce store admin as well. In addition, the plugin provides an option to bulk download invoices and packing slips. For invoices, the plugin offers an option for sequential numbering as well. This free plugin from WordPress plugin directory will surely help you enhance your order fulfillment process. 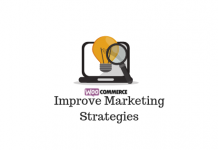 You need to ensure that customers on your WooCommerce store are able to search for their products effortlessly. For this, you can use the WOOF Products Filter plugin, which is among the popular free WooCommerce plugins in the plugin directory. 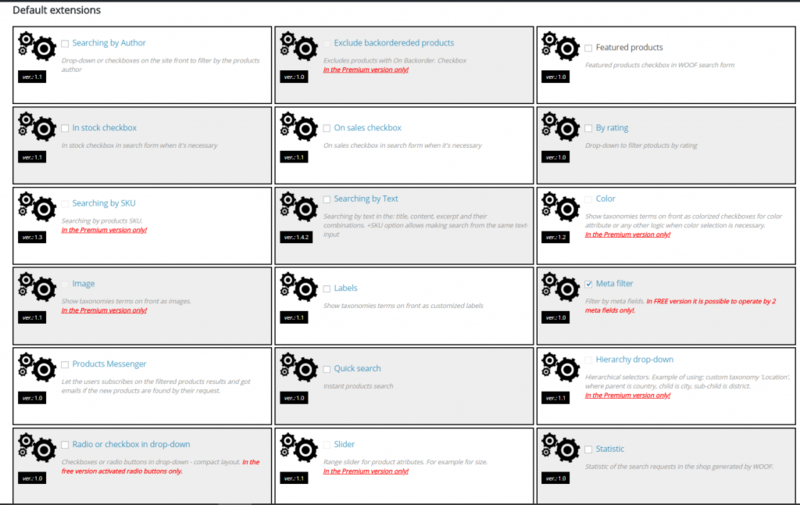 This plugin helps customers to filter products on your store based on different parameters. The parameters include price, categories, tags, attributes and custom taxonomies. You can use different shortcodes and widgets specified by the plugin developers to set up filters. The plugin also allows developer level customization, if you need to make any enhancements to its features. Since it is Ajax-based, there won’t be any delay in page loads, and your site will continue to perform great. This is a great plugin to have, if making products search easy is in your agenda. With the help of this plugin you can add more fields on your checkout page. 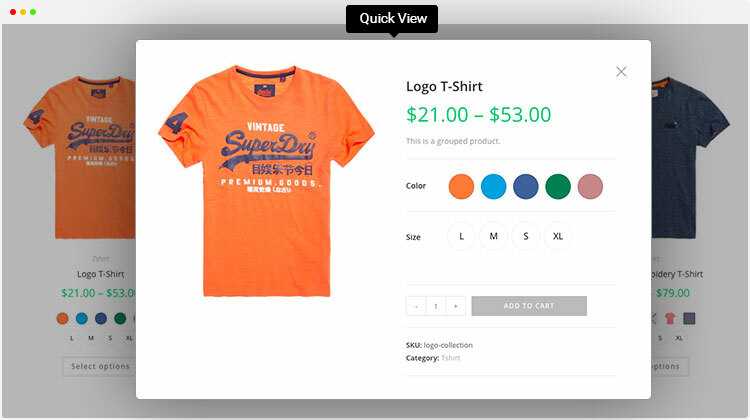 Depending on your customers’ preferences, you can change the appearance of your checkout page. 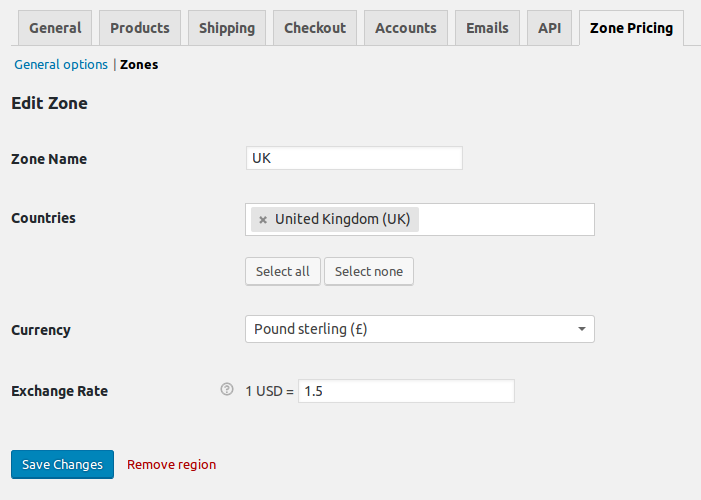 You can add, delete or rearrange the checkout fields as per your requirement using this plugin. The plugin provides you an option to include Select and Text fields on your checkout page. You can edit the core WooCommerce checkout fields as well as the custom fields that you create. The plugin also offers an option to selectively display checkout fields on order admin page as well as emails. You can temporarily disable specific fields or change the order in which fields are displayed on your checkout page. This plugin is unsurprisingly among some of the most popular free WordPress plugins on WordPress repository. To ensure best reach and conversions for your products, you have to display product information in a customer friendly manner. This plugin helps you add extra tabs on your individual WooCommerce product pages. The new tabs created by the plugin will be displayed right next to the Description tab that is present by default. It helps you to add tabs on each individual product page. The tab content area will be similar to the product edit screen, where you can include text, images, HTML codes or even shortcodes. 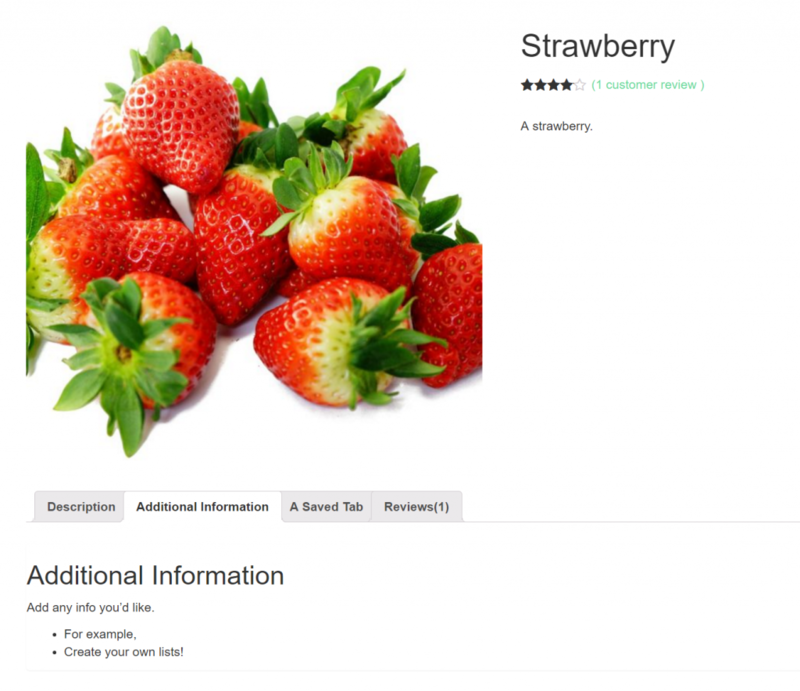 This free plugin could be a good choice to improve product information on your WooCommerce store. 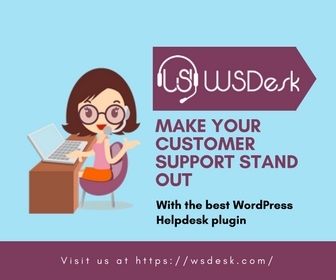 This free plugin helps you set up an efficient helpdesk on your WooCommerce store. It helps you create a support page, from where your customers can create tickets with their queries. Your support agents will be able to answer these queries from the backend of your store. 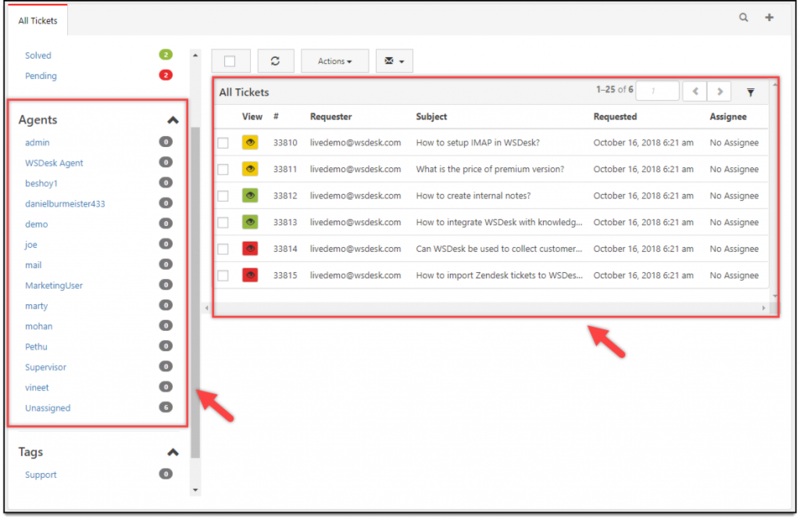 The plugin also converts all the emails sent to your support email id into tickets automatically. This plugin is quite popular in the WordPress ecosystem as its free version is loaded with features. There is no limit to the number of tickets or agents you can create on your store. You will be able to customize the support form and the ticket fields. The Ajax-based interface makes it extremely fast and easy to handle tickets on your store’s backend. You will be able to access a basic set of shortcodes with the free version. To integrate WooCommerce products into the support form, you will have to get the premium version. You can install the free version available on ELEX website to know more about this plugin. Mailchimp is one of the most popular marketing automation platforms out there. With the help of this free WordPress plugin, you can integrate WooCommerce order data with your Mailchimp account. This would help you create targeted campaigns in an informed manner. You will be able to configure automated campaigns to remind customers of items they left behind in their carts. Or you can simply use it for post purchase follow ups or product recommendations. You can also create segments based on customers’ order history and frequency. The plugin also helps to create popup forms, landing pages and discount codes to enhance your marketing campaigns. This is one of the best free WooCommerce plugins that every store owner should consider installing. When you are selling different variations of the same product, you may want to display them in a customer friendly way. This plugin helps you create different variation swatches for your variable products. You can create various kinds of swatches such as color, image, label, button, text, etc. You can display a cross sign over the out-of-stock variation so that customers will instantly know what is not available. The plugin also offers an option to show a tooltip while hovering over one of the swatches. Since the plugin is compatible with a lot of popular WooCommerce themes, you can provide a professional appeal to your store using this plugin. Wishlists help a lot in getting customers back to your store, as well as to bring in new customers. Once they have saved a wishlist on your store, chances are high for them to come back to your site and complete the purchase. Moreover, if they share their wishlist with friends and family, you products and store get better visibility among new users. This plugin helps you provide a wishlist option on your product page as well as shop page. With the help of a shortcode, you can place a button for wishlist anywhere on the page. Once a customer adds a product in the wishlist to cart, the plugin automatically removes the product from wishlist. If you are looking for a free option for wishlist, this is one of the best free WooCommerce plugins you can get your hands on. When you wish to feature your products in multiple sales and marketing channels, you will have to generate product feeds specific to these channels. This plugin will help you create multiple product feeds to a variety of channels like Google Merchant Center, Facebook remarketing, Bing Ads, etc. It has no limitations when it comes to the number of products or number of feeds that you can create. You can also filter your products to selectively include in these marketing channels. It also provides an option to map fields of your WooCommerce store to the corresponding one in the marketing channel. 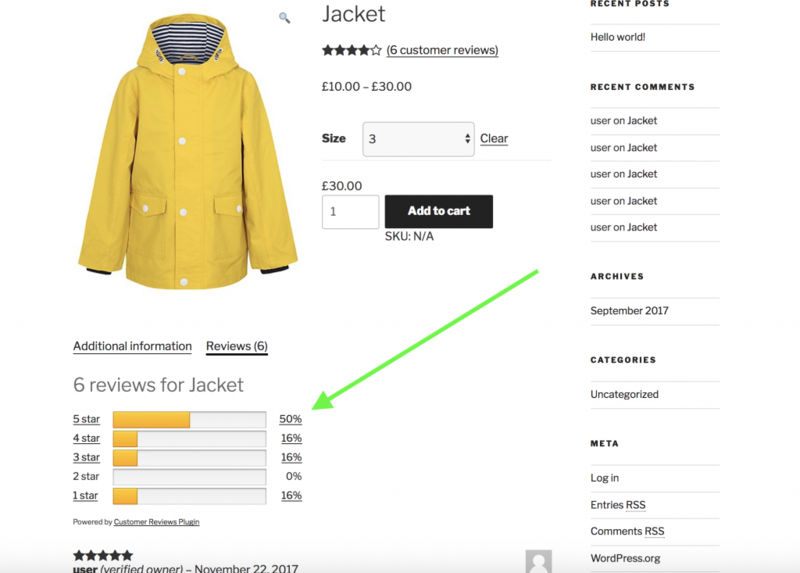 This plugin should enable your WooCommerce store products to get more reach, and it will improve the conversion rate on your store. USPS is the most popular shipping carrier in the US. If your business is based there, you would naturally want to integrate the services of USPS to your WooCommerce store. This plugin helps you display live rates of USPS domestic and international services on your cart and checkout pages. It provides you several options to display rates based on your store strategy. You can display all the available rates, or choose to display only the cheapest rate. Also, you can choose whether to use online rates or offline rates. The plugin offers an option to set up a fallback rate in its settings. In case, if the API does not return rates, the plugin will display this fallback rate as shipping charges, and your customers will be able to checkout. Also, you can offer the USPS services to customers all over the world, or restricted only to a few countries. This is one of the best free WooCommerce plugins to display USPS rates on your store. This is a plugin that offers the features of several plugins in one. It helps you change the pricing patterns on your store, set currency conversions and even configure ‘offer your price’ feature. You will also be able to customize the add to cart button, and set different text, or even add a redirect url. In addition, it will help you customize your checkout page by adding new fields, as well as edit the core WooCommerce fields. This plugin also helps you create coupon codes specific to user roles. It also offers flexible options to customize shipping methods and payment gateway options. 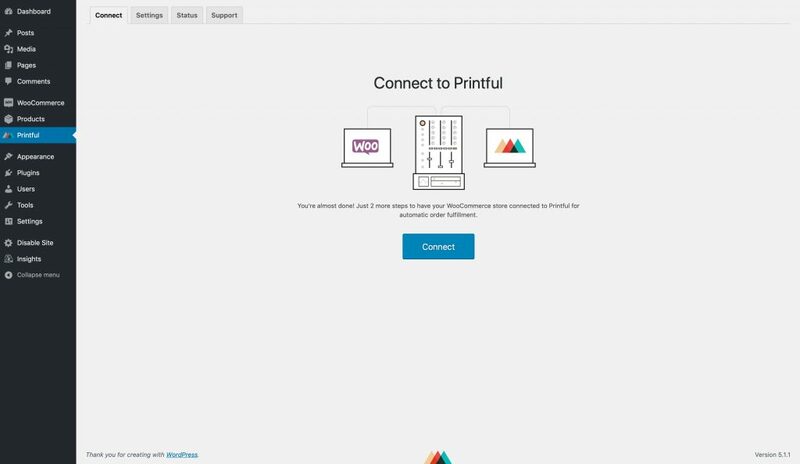 You can also create PDF invoices, packing slips and custom emails using this plugin. Please checkout the plugin page to understand the full list of features of this plugin. It is considered among the popular free WooCommerce plugins in the WordPress plugin repository. For wholesale businesses, setting up product prices based on user roles can be quite advantageous. This plugin helps you exactly with that. 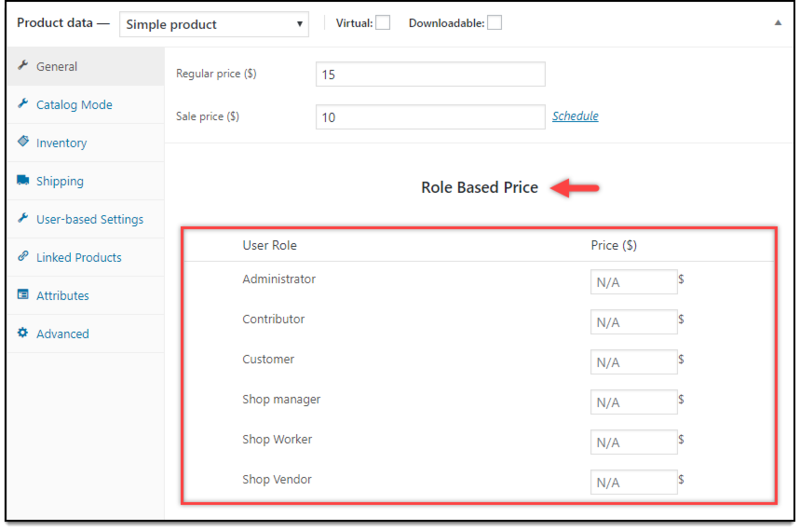 You can create a range of user roles on your store, and then go to individual product pages and set a different price for each user role. In wholesale strategy, you won’t be selling products at the same price all the time. So this plugin would be extremely useful if you are doing wholesale business. In addition, you can turn your entire store into catalog mode with a single click using this plugin. You can selectively enable catalog mode based on user roles as well. For example, you can disable the eCommerce functionality for all your guest users. Instead of the add to cart button, you can redirect guest users to a registration page or contact form. The plugin also helps you set up price adjustments based on user roles. Please note, the free version that you can download from the ELEX website supports only simple products. 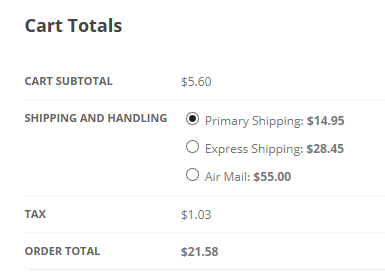 This plugin lets you calculate shipping charges based on the order weight. 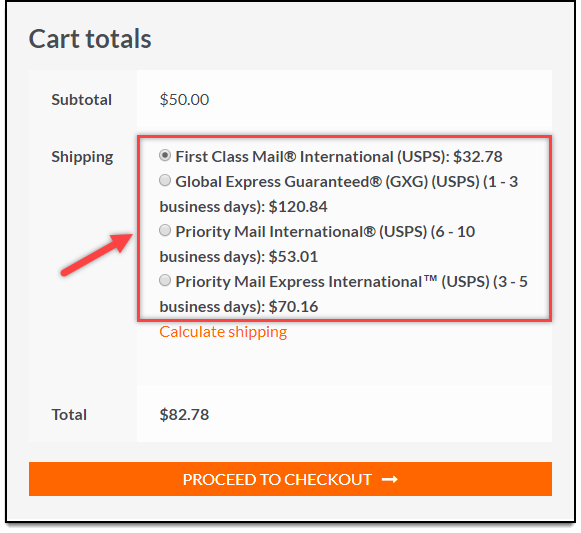 You can set up various rules to determine shipping charges according to your store strategy. In addition to order weight, you can also base your shipping rate calculations on shipping destination, or sub total ranges. The plugin gives you the flexibility to charge flat shipping rates, or dynamic rates based on the weight of the products in the cart. 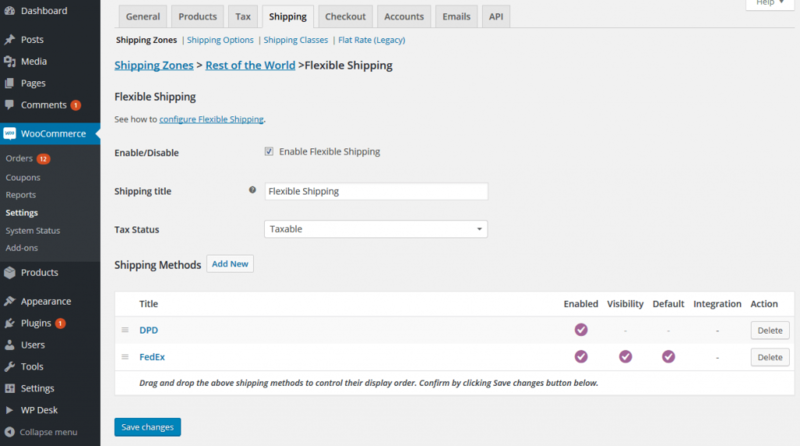 You can also offer free shipping to your customers based on conditional weight using this plugin. 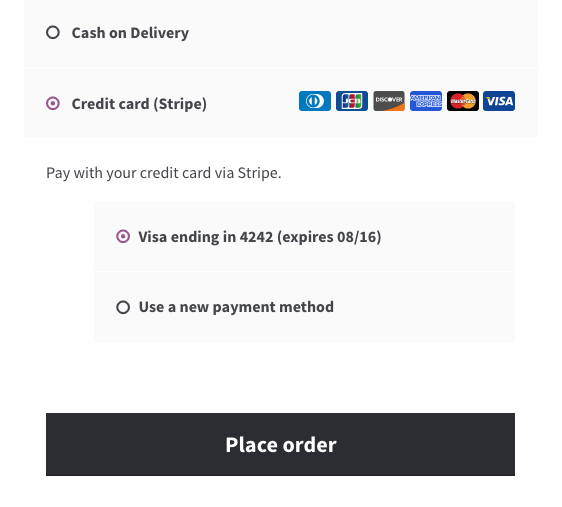 WooCommerce offers a few basic payment options by default when you install it. However, you will have to install your preferred payment options separately later. This hassle can be avoided to a large extent if you are using this plugin. 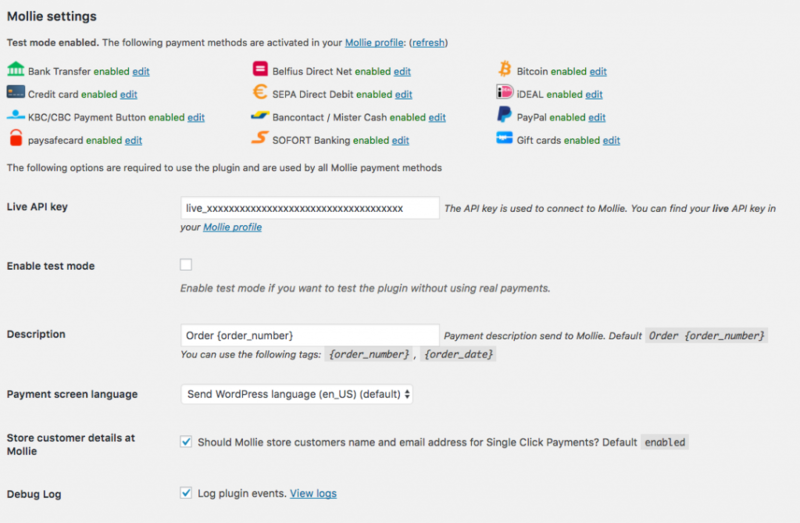 The plugin integrates several popular payment options to your WooCommerce store. These include popular credit and debit cards, and international payment methods such as PayPal, Bitcoin, etc. It also helps you feature popular “pay later” services like Klarna for a select list of countries. The plugin also helps you accept payments in some of the European regional payment methods such as iDEAL, GiroPay, SEPa, etc. The plugin also supports full and partial refunds, and recurring payments for subscriptions. For several scenarios, you might want to export order data from your WooCommerce store in bulk. This plugin helps you import order data smoothly from your store, which you can share with other third party services such as accounting tools. You can export order data in different file formats such as CSV, XML, JSON, and XLS. The exported list includes a summary of orders, customer information, product attributes as well as coupon data. 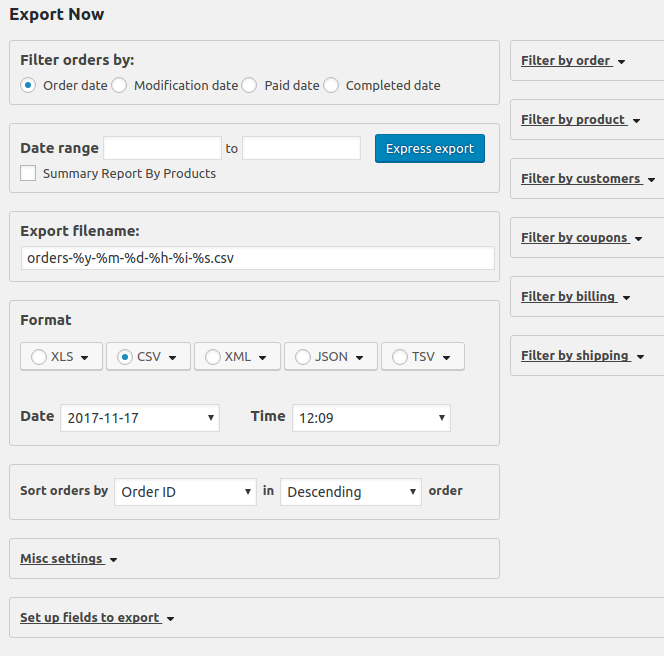 You can also make use of the powerful filtering options of this plugin to choose orders for export. 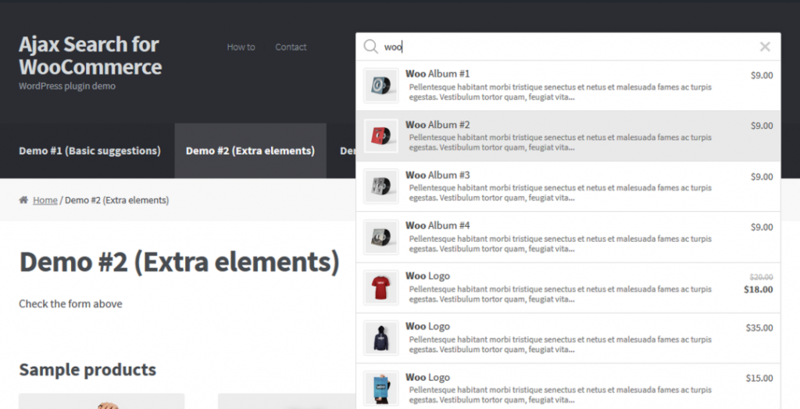 This is one of the popular free WooCommerce plugins for order export. This plugin helps you set up input fields on your product pages for additional options. You can offer additional options with your products, such as personalized engravings or gift wrapping. These options can be free or for a price based on your store requirements. The available input fields include text, text area, select, radio button, checkbox, date, and more. It also employs conditional logic to selectively display input fields depending on the choice of the customers. The plugin is growing as one of the preferred free WooCommerce plugins in the repository. You will get the benefits of three plugins if you install this one. The first one helps you enhance your Facebook ads campaigns. With the second one, you will be able to sell your products through your Facebook page by syncing your WooCommerce products. And, the third one integrates Facebook Messenger chat with your WooCommerce store, so that you can handle customer queries more easily. To understand more about omnichannel customer support, you can read our article on the same. You can easily set up the plugin as the configuration process is quite simple. 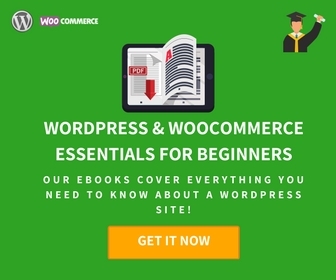 This is one of the best free WooCommerce plugins that will help with multiple aspects of your online store. Importing and exporting products to and from your WooCommerce store can be a tough process if you have a large number of products. This won’t be tough anymore if you have this plugin installed on your store. It helps you import products from a CSV file into your store, and automatically match the field headers with WooCommerce product fields. The free version of the plugin works only with simple products. However, the premium version is capable of handling all product types. You can use this plugin to bulk update certain specific product fields such as title, description, etc. The plugin is one of the most preferred free WooCommerce plugins to manage product import and export. The analytics requirements of an eCommerce store is slightly different from that of a regular website. You need to understand how users are interacting with your store’s features and functionalities. This free plugin provides options to integrate the enhanced eCommerce functionality of Google Analytics. It gives you reports on users’ shopping and purchase behavior, along with sales performance of the store and individual products. You will be able to capture specific aspects of your products like impressions, clicks, added to cart, etc., thoroughly. The plugin supports only simple products. 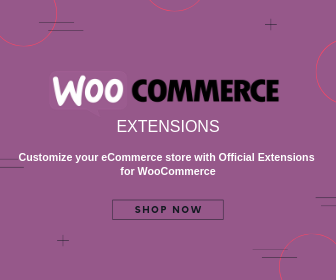 With the help of this extension you can display coupon information collectively on your WooCommerce store. You can encourage customers to purchase more by displaying coupon information strategically. It offers conditional shortcode, which displays information regarding the coupon’s validity and whether it is applied or not. The coupon info shortcode allows to display the coupon code, it’s description, as well as the discount offer. 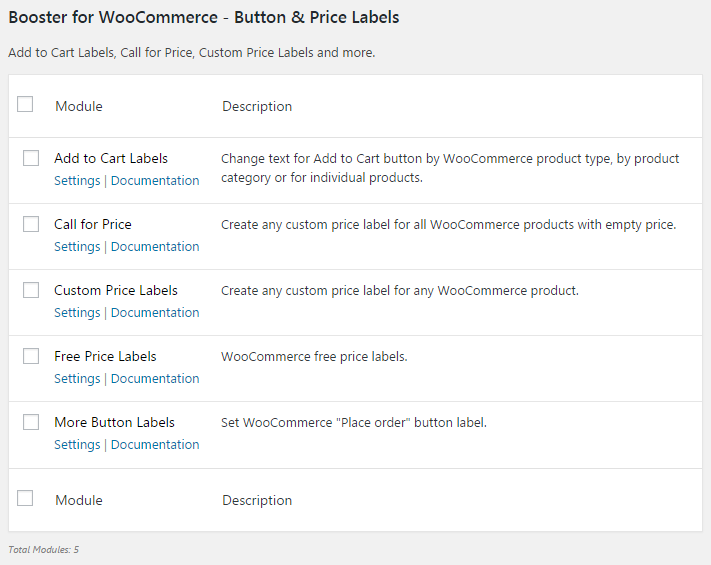 Checkout this interesting one among free WooCommerce plugins on the extensions store. To increase the revenue on your store, you can maintain a wallet system on your store. Customers will be able to add money to their wallet, and you will be able to add cashbacks and store credits as well. The plugin adds a wallet system payment method on your store, to which customers can add money using different payment methods. You will be able to pass refund and cash back amounts to this wallet system. Moreover, the plugin helps with a smoother checkout, as customers can make a purchase without logging in. This plugin is definitely one to pay attention among the several free WooCommerce plugins. Reviews on your site are a great way to improve social proof on your store. However, it is not easy to get your customers leave a review on your product page. This plugin will offer a lot of assistance in this regard. First of all, it will help you send reminders to customers to write a review after the purchase. It generates and sends a detailed review form to customers after each order with specific questions regarding the relevant products. It also helps you offer discounts to customers who leave reviews. Moreover, it allows more features like attaching images, review filters, rich snippet support and spam control. This one offers a comprehensive review feature to your store, and is surely among the best WooCommerce plugins. When you sell internationally, it is especially important to display prices in local currency. This plugin helps you sell your products in a relevant currency based on the customer’s country. With the help of the geolocation feature of WooCommerce, the plugin detects the country of the customer and accordingly displays the price. You can set a conversion rate to help the plugin automatically apply the price. Alternatively, you can manually set a price as well. The plugin also offers a widget that lets customers change the country from the frontend. It also applies the conversion rate to your shipping charges as well. This is another plugin that will help with better product search on your WooCommerce store. It provides you a widget or shortcode option to display an Ajax-based search option. You can show this anywhere on your site where you think it will be relevant. When your customers start typing a product name, the relevant options on your store will be displayed. Also, you can choose what properties of the product are displayed in the suggestions. This plugin can help a lot in improving the customer experience on your store, and is growing to be a popular option among free WooCommerce plugins. If you reclaim a certain percentage of abandoned carts on your store, you can considerably increase your store revenue. This plugin helps you reclaim abandoned carts by sending targeted reminders to customers. It captures the cart information of customers and lets you send them reminders with product information. With the help of this plugin, you can send unlimited email reminders at intervals specified by you. You will be able to capture the carts of even guest users who abandon their carts after entering email address. Try out this one if you notice your cart abandonment rate is abnormally high. This is another plugin that will help you display product prices in the customer’s local currency. It offers two options to display the currency converter – shortcodes and widgets. 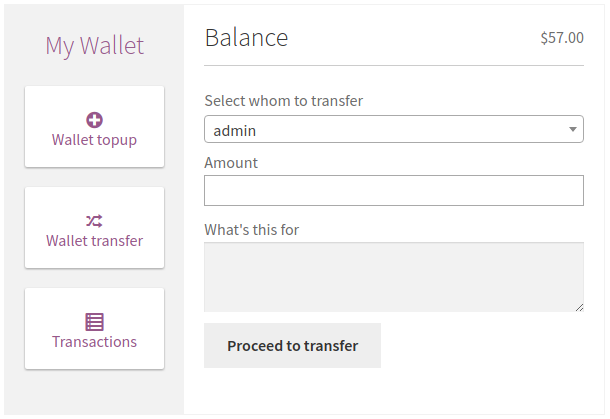 Moreover, you can graphically represent the currency switcher as drop-down, side switcher or flags. Customers will have the option to pay in their local currency. You can automatically apply the exchange rates with the help of currency aggregators. It also allows you to choose payment gateways based on the chosen currency. Please note, the free version allows you to switch only two currencies. This is a popular table rate shipping plugin for your WooCommerce store. It helps you calculate shipping rates based on cart weight and cart total. You can also add a charge to the Cash on Delivery option. And, for orders above a certain value, you can add handling charges or insurance as well. Moreover, you can selectively display shipping methods for logged in users. The pro version of the plugin has several advanced features worth checking out. Featuring branded products on your store will help a lot in improving the crowd appeal of your store. With this plugin, you can create different brands and add products into each. You can associate a banner and link to each brand that you want to display on the store. With the help of shortcodes, you can display filtering options for customers to choose according to brands. It also offers an option to import and export brand data using JSON format. When you have both online and physical outlets, it is important to sync inventory between both systems. If your using Square POS system to manage payments on your physical store, you can use this extension to sync inventory with your WooCommerce store. Moreover, you will be able to accept credit card payments on your store using Square API. Please remember, you need to have an SSL certificate to use this plugin. Find more information on SSL certificates here. This is another popular option among free WooCommerce plugins that will help you manage your checkout page better. 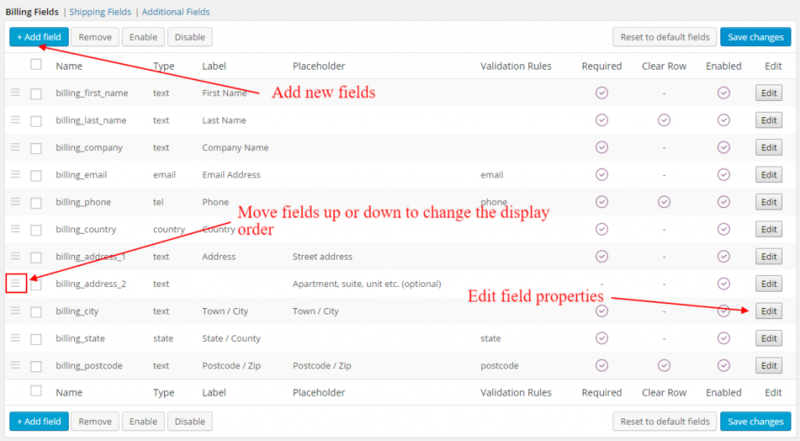 The plugin helps you add extra fields to your checkout page, and helps you rearrange the existing ones. You can make fields mandatory or not based on your specific requirements. 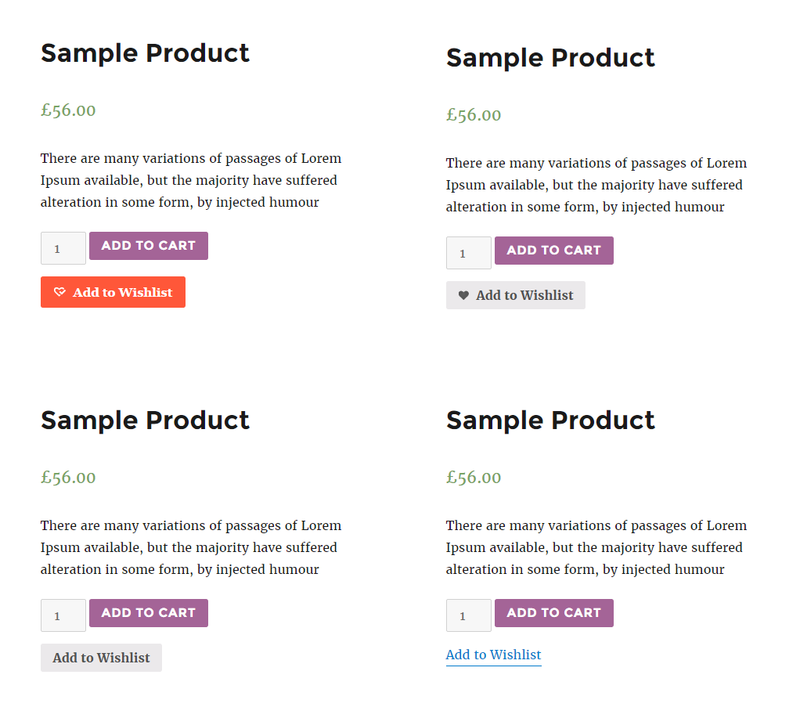 This plugin offers 15 different field types that you can add on your checkout page. These include text area, radio button, select option, checkbox, date picker, etc. Based on user roles, you can selectively display or hide checkout fields while using this plugin. This plugin helps you manage your analytics requirements easily on your site. 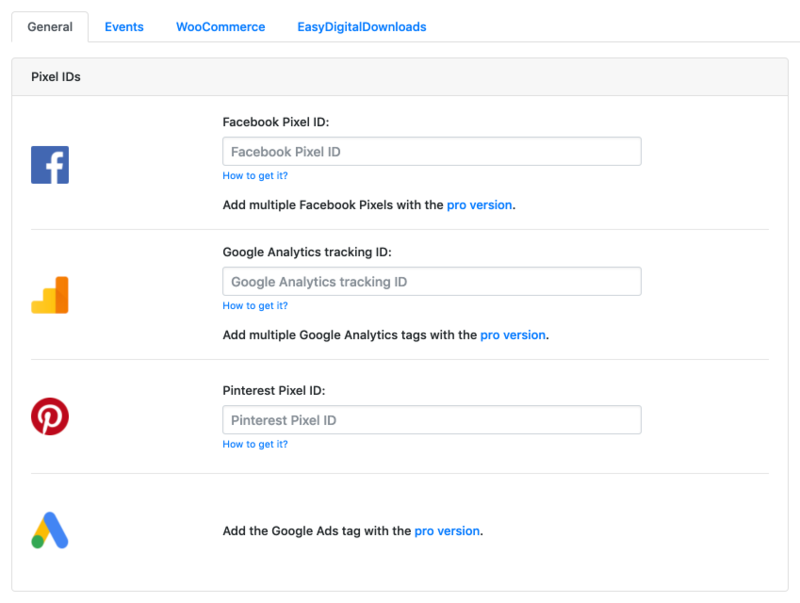 Facebook Pixel, Google Analytics with enhanced eCommerce, Pinterest tags, etc., can be managed using this plugin. Once you have installed this plugin, all eCommerce related events will be sent automatically to the respective analytics tool that you have set up. Overall, this hugely popular choice among free WooCommerce plugins will be a great support to handle different analytics codes on your store. This plugin helps you manage stock information of multiple products from a single screen. As it has a color coded display of stock information, you will be able to quickly identify low stock or out of stock scenarios. You can use different options to filter products as well. 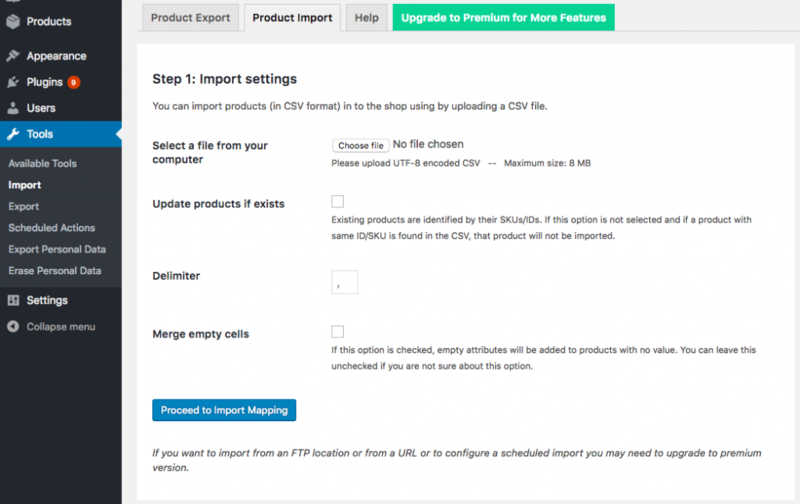 The plugin also allows you to export and import stock information using a CSV file. Since WooCommerce does not have a default option to view stock information of multiple products simultaneously, this plugin could help. Printful is an on-demand dropshipping provider of customized products like t-shirts, mugs, etc. Using this plugin, you will be able to integrate to Printful and sell their products under your brand. You need to pay the production cost to Printful, and set up your own retail price for the products you feature. Moreover, you don’t need to worry about shipping, as it will be handled by Printful. Tax settings will be automatically added, and so will be shipping rates. Printful also provides free design templates, which you can use to experiment with product design. Hope you got a good idea on some of the best free WooCommerce plugins that you can install on your store. Leave us a comment if you want to share your thoughts on the article. How to install and configure a plugin on your WooCommerce store?